For those of you going DIY on your wedding styling, we’ve chatted to the South West’s loveliest hire companies! This award-winning duo stay one step ahead of wedding styling trends – they create new looks with hand-crafted and up-cycled pieces! Their carefully curated collections range from modern luxe to boho chic, and every genre in between. Glamorous crushed velvet runners, gold beaded charger plates, vintage cut glass, geeky laboratory sets – Keeping it Vintage have your wedding styling finishing touches sorted. If you’ve lusted after gorgeous vintage furniture in a wedding magazine spread, or pinned a rustic wooden table and bench on your Pinterest wedding board, chances are, it came from these guys!! Their highly sought-after collection cannot be rivaled! If your dry hire venue comes sans furniture, head to their website immediately and thank us later. Is there a Nobel prize for wedding styling? We’d like to make a nomination! Aptly named, these guys add at least five products a week to their incredible range. Describe a prop, and if they don’t already have it in their warehouse of wonders, they’ll simply custom make it for you! We’re super lucky to have this team in the South West, so schedule a Prop Factory pit stop in on your wedding styling mission. All three teams explain that they take a flurry of firm bookings around 6 to 9 months in advance of dates. So, they recommend getting in touch around 12 months prior to get the ball rolling with an initial enquiry. This gives you plenty of time to compare your options before deciding. Carmen recommends not to dither but to go with your gut and book your key pieces ASAP – additional items can always follow later! Tracy reminds us that DIY weddings are a lot of work! So, where you can, streamline the number of suppliers you work with and try to arrange as many items to come from one supplier as possible. The Virginia’s Vintage team find that June and July book out faster than any other months. These are peak months for marquee weddings, with the best British weather expected, so it’s no surprise that couples are quick off the mark to secure their tables, chairs, and decorative props! We all understand the temptation to Pinterest until your hearts content… but, much like the advice given in our Stationery Blog, our wedding styling teams are quick to point out how overwhelming this online scrap-booking world can be. Carmen describes a recent styled shoot experience. It’s not uncommon for styled shoots to be based around a single theme, particular colour palette or concept. Styled shoots are published regularly on wedding blogs and in wedding magazines, and are a great resource to see how top stylists, prop suppliers, stationers, florists, and an abundance of other wedding suppliers execute their ideas. Tracy and her team keep up with online blogs such as Rock My Wedding, Mr & Mrs Unique and Festival Brides. Ginny and Greg are lovers of these blogs too, as well as Style Me Pretty. Locally there are some great publications such as Wed Magazine & Vow Magazine. Both the blogs and the magazines feature styled photo shoots that provide a huge source of inspiration and are often a collaboration of some of the top suppliers. So, hit the blogs and weddings mags to seek some direction on bringing your wedding styling ideas together seamlessly. 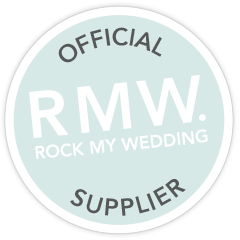 Make sure you check out the suppliers who have contributed to any shoots you love. As well as your basics; tables, seating, linen etc. take your wedding styling choices to the next level! Our featured suppliers can advise how to turn a prop into a stunning feature on the Big Day. Carmen is a stickler for this kind of attention to detail. A couple of Oxblood Chesterfield sofas have a practical application, but add in a rustic trunk coffee table, a sheep skin rug, a few quirky chess side tables and some yucca plants and you’re got yourself a mini living room. Sounds divine! Not enough? She suggests putting it outside on a warm summer night! Especially alongside garden games. With garden games just a few finishing touches, like ribbon bunting and bunting poles surrounding the games, even a few picket fences, a few traditional fairground signs and a prize table really brings life to the games area. Tracy is a pro at keeping ahead of trends. She notes that table décor is no longer just about a wow centre piece. You don’t have to be subtle on the table! After all you sit at it for several hours, so make the most of it and get creative! For Ginny and Greg, it’s all about adding personality. They suggest picking some one-of-a-kind items to take a cake or gift table from pretty to EPIC. Check out their Marmaduke Cart, Jerry Hand Cart and Knox Cart. Now tell me you didn’t just say ‘wow’ and start picturing your cake poised on one of those beauties. They have amazing bars too! Secrets spilled! The teams describe the looks that they are loving and those that are evolving into new styles. Carmen makes probably my favourite statement from a wedding styling guru ever. Imagine if Claire’s Accessories threw up all over your wedding! Before we continue with this sentiment, let’s just start things off by saying that your wedding can look however you want it to! Whatever style you go for, you’ll find a supplier who can kit you out! Never has this been truer than when Carmen goes on to describe the Rococo (I had to google it too) range that they have just added to their collection, which totally juxtaposes the Kitsch range they have on the way. Think rainbow arches, candy floss clouds, unicorn doughnut walls, turquoise fluffy rugs, glitter and flamingos! Carmen expects us to be waving a fond farewell to chocolate fountains, candy carts, love letters, and chair covers. Couples are exploring more modern ways to bring pizzazz to their Big Day. When it comes to the details, Tracy notes edgy twists becoming popular. Bolder and more opulent colours are now making their way back in, amethyst and indigo are my favourites. Tracy has pioneered super luxe looks, using crushed velvet, golds, coppers and rose golds to create elegant and decedent tablescapes. She see’s rustic trends such as jam jar centrepieces and milk churns evolving into boho and festival vibes. Dream catchers and macramé are the order of the day! Ginny and Greg are excited that glass venues and tents with floor to ceiling windows are being championed right now. This has increased peoples love of minimalistic styling and Scandinavian vibes. We love Nordic countries and using raw materials and simple clean design at Virginia’s Vintage Hire. Wood is going to be a prominent feature. They also note that silver and chrome metallics are filtering through from industrial looks. Prompting a very sensible thought from the Virginia’s crew that you don’t have to fully commit to a style that you like. You can take simple elements from the industrial ‘trend’ (or any other) without having to book a warehouse as your venue, or serve canapés from an exhaust pipe… or as Virginia’s Vintage team better explains. As current as the industrial look may now be, in years to come it may seem quite obscure to look back at your wedding pictures of you stood in a machine shop of pipes, pistons, and concrete walls. So, finding balance is key and is exactly what these teams do best! Never be afraid to ask their advice on how to incorporate an idea into your Big Day. To really get to know the teams, we asked them what their dream wedding styling brief would be! I’d love to make an entire set like a film, rather than hire a venue. It would have a clock tower for the ceremony, a library for dining and a botanical greenhouse for dancing. The green house would be full of (happy) butterflies. I would fill the venue with exotic plants, vintage animal cages, books – stacks and stacks of books, maybe even a book cave! Beautiful over the top furniture inspired by Georgian interior. I love Despicable Me 2 and his alligator sofa too. Like most sisters, Tracy and Tori have very different tastes to one another, something that certainly keeps their range eclectic! For Tracy a dream brief is a big, blank, outdoor canvas. When a client says they would like a ‘relaxed boho festival style wedding’ this has her picturing barns and tipi tents and dreams of filling them with gorgeous colour, texture, and wild touches. Ginny and Greg’s timeless collection can go anywhere! They love a design brief for banquet style dining. Their Paris cross back chairs look fantastic set up in a woodland, country manor, industrial warehouse or a back garden and they have a range of rustic trestles to pair perfectly too. We love creating a lounge or chill out area. Think chesterfield sofas, coffee tables, a bar and a beautiful original cart to display flowers or food. WEDDING STYLING AND PROP HIRE TOP TIPS! Carmen’s advice is a great way to approach wedding planning as a whole. Find a styling idea to fall in love with and argue with anyone who disagrees with it. Dedicate a day or two a month to pondering, planning and revisiting your decisions as there is a flurry of activity at the start and a panic at the end but not a lot in the middle of planning! You don’t have to live locally to work with amazing Devon suppliers! For Tracy and Tori, many of their clients are marrying in Devon, but live away. So, they have developed a well-structured approach to the huge wedding world that exists on Pinterest! Clients pin pictures of items they would like to use to style and dress their wedding, then we pin pictures of the items we stock that will suit this theme. It also offers an opportunity to bring together other suppliers that the clients are working with, such as florists, stationers etc. Ginny and Greg’s team suggest that once you know what you want, book as soon as you can. Most of all, they remind you to be yourselves and have fun! We couldn’t agree more! In the bespoke world, if you’re ever feeling the pressure, never hesitate to contact your supplier. It’s our actual job to be there for you!